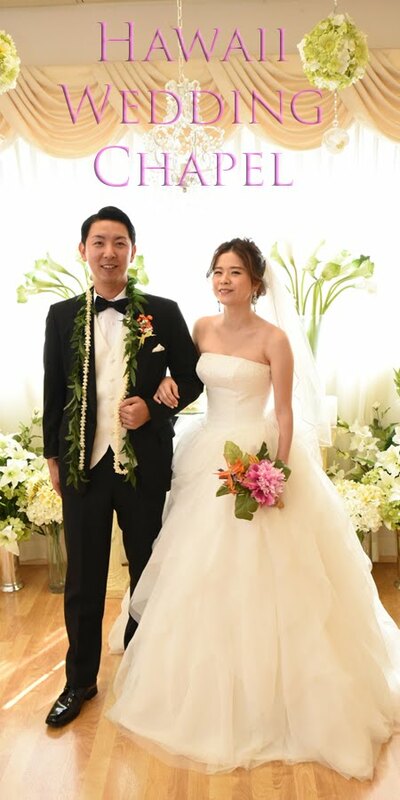 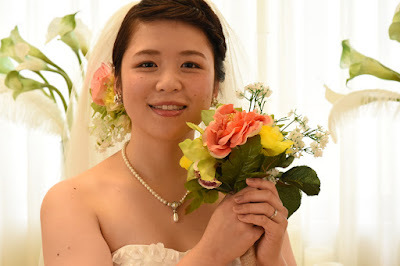 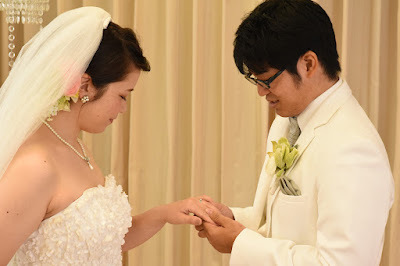 Yuma and Shiori welcome you to Plumeria Wedding Chapel in Honolulu, Hawaii. 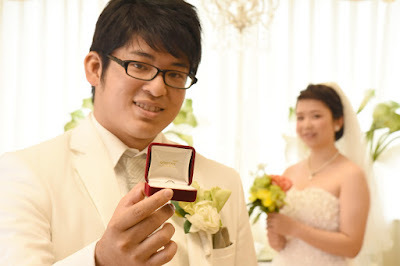 Groom surprises the Bride with a ring. 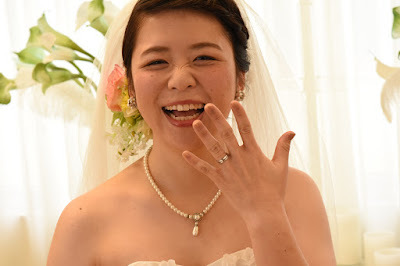 Romantic wedding ring slipping on her finger. 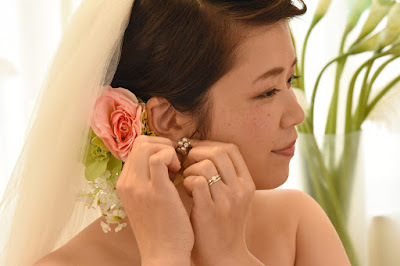 Bride commences to show off her ring. Love it! Beautiful soft colors at Plumeria Wedding Chapel, with Bride's silk flower bouquet.